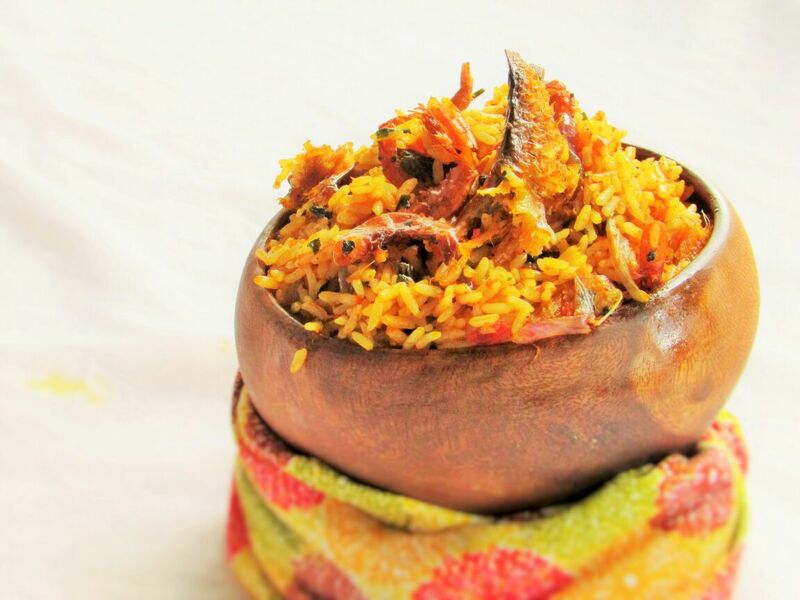 Growing up in Nigeria, Palm oil rice was a staple. It was easy to cook without any hassle. It involves the use of palm oil, spicy peppers, cray fish and dry fish. There are different versions to this recipe. I actually make several versions. But for this post, I shall share one of my favorite versions because of it’s abundance of flavors all married together in one pot. In a cooking pot or skillet, melt the oil(do not bleach), slice and pour in the remaining onion and sauté until translucent. Add the tomatoes and blended crayfish. Sauté until the tomatoes have reduced; then add the pepper blend and fry for another 5minutes; while stirring constantly. This entry was posted in Carbohydrate, coconut jollof rice, Jollof rice, Local dishes, Lunch, main dishes, main meals, Nigerian Rice Recipe, Protein, Rice, Rice Dishes, Uncategorized and tagged Local jollof, Local jollof rice recipe, local rice, local rice recipe, native jollof, native jollof rice recipe, palm oil and bail rice, palm oil jollof, Palm oil rice, palm oil rice recipe, Peppered rice recipe, Plam oil jollof rice recipe. Just what am looking 4! Tanx 4 sharing….. Thanks i have not tried this but i will and am sure it will come out well. Thanks soomuch.